Welcome to the Sarasota Restaurant Guide. Find details on hundreds of restaurants in Sarasota, Venice, Osprey, Nokomis and Bradenton. This is also your guide to catering and banquet halls in Sarasota for your next event.dex of restaurants. 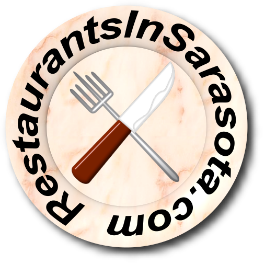 Choose a restaurant from the alphabetical list, or search by cuisine from the form below.